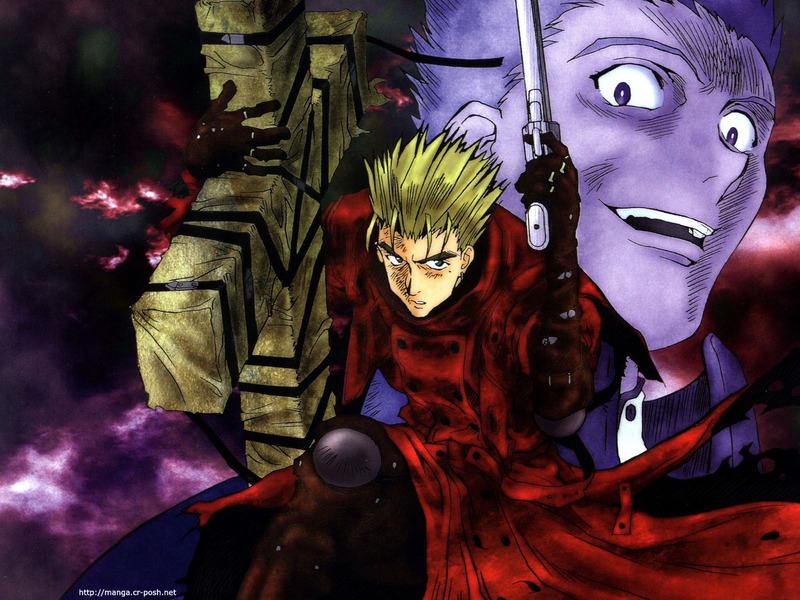 Another Trigun wallpaper. Have fun. This is nice. It's cool how he's holding Wolfwoods cross and his own gun. I actually chose to download this wall, as opposed to the full scan and cropping it myself, because you did so well!